Paraben free has been popping up for some time now in the cosmetic industry for good reason. Parabens are a class of widely used preservatives in cosmetic and pharmaceutical products. Chemically, they are a series of parahydroxybenzoates or esters of parahydroxybenzoic acid (also known as 4-hydroxybenzoic acid). Parabens are effective preservatives in many types of formulas. These compounds, and their salts, are used primarily for their bactericidal and fungicidal properties. They can be found in shampoos, commercial moisturizers, shaving gels, personal lubricants, topical/parenteral pharmaceuticals, spray tanning solution, makeup, and toothpaste. It is one of the most widely used preservative on the market because it works so well. Just like with most products, not a lot of long term studies went into the safety aspect of this product. Now over time scientist and Doctors are starting to scratch their heads at their safety and long term issues. Now if you have read anything about items approved for use and understand that it take longer for one to be pulled and deemed unsafe than it takes to say it is safe. You have the companies that are producing the item paying for studies to show they are safe and you have the people that are saying that it is unsafe researching and trying to see if they really are. Until many people are injured and it is proven that it was the cause then we the customers are stuck in the middle of not knowing. Numerous studies have been conducted, on both sides of the argument about parabens – so the questions remains. Should we avoid them? The problem with parabens has been identified because they are xenoestrogens, i.e. they mimic oestrogen in the body. This has been linked to breast cancer and reproductive issues, including early onset of puberty and reduced sperm count. It also appears that parabens can be stored in the body, resulting in a cumulative effect that can damage health over time. Research been found to link them to cancerous cells, but does not compare results with levels of parabens in noncancerous cells. Even though the research that say Parabens are detrimental, the FDA uses their protocol in the findings. It basically says if the study is very narrow and a very small percentage has an issue then it is probably okay to use. The question is how many more are affected and it isn’t being studied. Questions arise concerning estrogen levels and poly cystic ovaries syndrome, as well as a host of other issues that are a result of high estrogen levels. Their is enough questions concerning Paraben’s for us at Rolling Meadows to choose all natural. We spend a little more money for our preservative that is derived from Grapefruit and Coconuts, Optiphen Plus. That was we can assure that we are all natural and we have you best interest at heart. Goats Milk Skincare(NaturalNews) Consumers are becoming more aware of the chemical mass production of commercial body care products that are loaded with synthetic ingredients. Possibly a symptom of an economy looking to cut costs, body care products like soap and deodorant have moved away from being “personal care” products to being personally destructive, cancer-causing silent killers. From containing hormone disrupting phthalates and poisonous triclosan, to harboring heavy metals and toxic surfactants, many mass-produced body care products have become utterly dangerous. As consumers become more aware, many people are now switching to all natural, organic products. One natural body care product that’s gaining attention is goat’s milk soap. Here are the five wonderful benefits of using goat’s milk soap versus commercial sodium lauryl sulfate blends. A 1983, a report from the Journal of The American College of Toxicology blamed sodium lauryl sulfate concentrations as low as 0.5 percent for causing skin irritation. Further studies showed that concentrations of 10-30 percent were found to cause severe skin corrosion. The “Household Products Directory” of the National Institutes of Health lists over 80 products that contain sodium lauryl sulfate and sodium laureth sulfate with concentrations up to 30 percent. These high concentrations not only affect the skin’s outer layers, but are absorbed into the biggest organ in the body, the skin, and stored in tissues. Sodium laureth is now commonly used in place of sodium lauryl, but it can be even more dangerous. Laureth cannot effectively be removed from the liver. Laureth can be stored stored in tissues and promote toxicity for a person’s entire lifetime, draining them of energy. These chemical soaps are popular mainly because of price, but they aren’t worth the negative, long-term draining of energy. Many consumers are finding it more important than ever to spend the extra dollar here and there to assure they have what is natural and pure, for their body and for the environment. Small farmers and manufacturers of all natural products are the future for a population which seeks to survive, healthily, happily. The original theme of Rolling Meadows was to create natural items that work for everyday use. We have worked hard to create some new products that will be great use at affordable prices. Our new products are lotion sticks with essential oils that aid a person with everyday life. Our lotion sticks are delightfully smooth with all natural oils and fine butters from nature combined with essential oils. We packaged in easy to use containers for spot applications. A full ounce size allows for many applications. Great for kids and adults. The base for all Lotion stick is: Beeswax, Shea Butter, Sweet Almond Oil, Avocado Oil, Sunflower Oil, Safflower Oil, Mineral Oil, Jojoba Seed Oil, and Vitamin E. We then add a healthy dose of essential oils for specific uses. We find by using many fine oils and butters it allows for great moisturization and the beeswax help with holding the scent longer and providing a super protecting layer. 911 First Aid Stick: We combined Tea Tree, Lavender, and Eucalyptus Oils for a very antimicrobial mix. This trio is great for damaged skin, abrasions, cuts, scars and a plethora of many skin ailments. This also works great for the itch from bug bites like mosquitoes! It truly is a First Aid Kit in a stick! Zen Essentials Stick: Fatigue and irritability are often a result of many factors that are difficult to pinpoint. Clear your mind and relax with the wonderful smell of Zen Blend. Sweet Marjoram, Roman Chamomile, Ylang Ylang, East Indian Sandalwood, Vanilla, French Lavender. – Comparable to Young Living’s Peace & Calming A great scent to set the tone for meditation. Calming Essentials Stick: Destress for the intense day with this wonderful combination of essential oils. Clear your mind and relax with the wonderful smell of our Calm Mind Blend. Sweet Marjoram, Roman Chamomile, Ylang Ylang, Sandalwood, Vanilla, French Lavender. We know you will love these as much as we do. Buy a few today and have them handy for life events. Each point is worth .25 cents and you get a point for every 5 dollars you spend; a point for reviews; points to host a party; after 10 orders you get a point; If you spend 100 dollars you get 5 bonus points. There is no cash value other than a discount on items you purchase from our store. Spend them as you go or save them for something special. Just an extra way to say thank you for shopping with us! 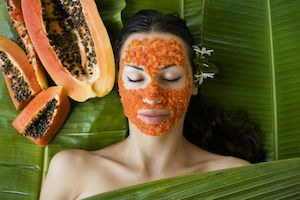 After all, we think you deserve to pamper yourself and your skin will thank you!! There will also be extra ways to earn Goat Points, such as: hosting an online party; purchasing a “featured” product and more coming soon! We finally accomplished the creation of a new product! Lip Balm, smooth and creamy Lip Balm. There are several recepies online that would work but we wanted to be different. We have created a wonderful all natural lip balm that will protect and soften the toughest issues. Beeswax is a wonderful protectant and a helps hold the moisture where you want it. The rest of the ingredients: Shea Butter, Avocado Oil, Sweet Almond Oil, Vitamin E Oil and of course Goats Milk. Yes we added a flavoring oil to meet the popular demand but have unflavored for all natural moisturizer and protection. Don’t be caught with chapped lips this Valentines. Not Just Another Goats Milk Company! At Rolling Meadows Goats Milk Skincare, we care about our products and worked hard to blend just the right mounts of natural ingredients for the best product available! From the beginning quality was at the foremost in our mind. We made made a list of specifications for each product and what we wanted to accomplish with it. We then chose types of butters and oils to meet those specifications. Experimenting with ratio’s for hours trying to get just the right feel of each and every one of them. Once we had the recipe, we began looking at suppliers. Asking where the product comes from, the processes in which it is made. We looked at the sustainability of the producers and the practices in which they used to grow the raw materials. Once all our criteria were met, we made the purchases. We are happy with the all natural aspects of our product and the sourcing of the materials. We don’t use dye’s or products containing FD&C colorants. We use natural clay’s and materials for a specific function such as Kaolin Clay in our Rosemary Peppermint Specialty Bar, Activated Charcoals, and Bentonite Clay for shave bars to name a few. From a business stand point we had to venture into the Fragrance Oil market in order to sustain us as a business. We are careful in selecting fragrances to ensure they are Pthylate free. Pthylates are known to cause hormonal imbalances and other issues. We are striving to be a self sustaining farm and it is important to us to make sure we are as all natural as possible. Goat’s milk is rich in essential fatty acids and triglycerides. The essential fatty acids have a unique PH similar to humans, so it is less irritating and more easily absorbed by our skin. These fatty acids and triglycerides are super moisturizing. Many purchase chemical based skincare items that claim to repair and rejuvenate, when nature has provided us with the answers. Why don’t the big box manufactures utilize goat’s milk in their products? Well it is a matter of economics. They can purchase items such and synthetic vitamins and minerals, chemicals that act as alpha hydroxy acid much cheaper than utilizing goats milk. Some are making a shift and starting to offer goat’s milk products, however, their milk is powdered and we all know the more processes that natural items go through the more we lose in benefits. But there’s more! Goat’s milk contains precious skin minerals like selenium and calcium, and is loaded with vitamins, particularly vitamin A, the most important vitamin for the skin. As with other milks, goat’s milk contains lactic acid, which is an alpha hydroxy acid (AHA). It assists to gently slough off dead skin cells and helps to hydrate and brighten the skin. Goat’s milk has unique nourishing properties that make it the perfect ingredient to add to anything which touches your skin, from your shaving cream to your moisturizer. It is both an anti-aging wonder and a lifesaver for dry and sensitive skin. Goat’s milk is anti-inflammatory and super moisturizing. We try to create a the perfect essential oil blend in each of our products, how ever, due to demand we have to make some with fragrance oils. We are very picking in choosing just the right manufacture and ensuring they are phthalate and paraben free. As far as the skin on your body, goat’s milk is a must for your daily shower. We have created the perfect Goat’s Milk Soap. With its healing benefits, not only will you notice healthier skin, but one more little glorious thing will happen — you will begin to notice a need for less moisturizer. We offer many essential oil blends that incorporates aromatherapy for added bath time pleasure. We also offer specialty bars with activated charcoal and/or kaolin clay to help with many issues such as acne. Due to FDA regulations we cannot state that our soap cures anything but it sure doesn’t hurt. Many of our customers have issues such as acne, eczema, psoriasis to name a few, and their reviews speak for themselves. 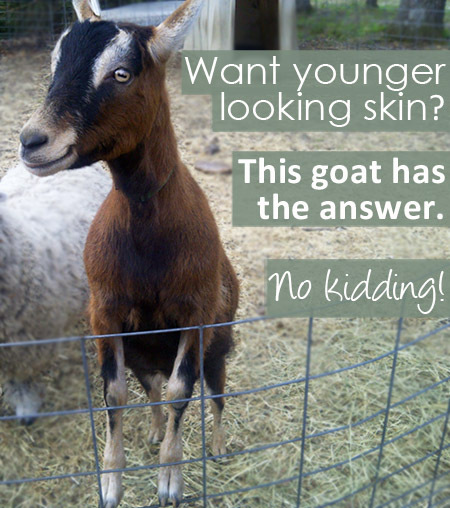 Goat’s milk is known to be a healthy food for inside our bodies, but as a skincare is a wonderful ingredient. I mentioned earlier, its lactic acid content helps to reveal brighter, healthier skin while the nourishing and remineralizing ingredients do wonders to maintain the skin’s integrity. Naturally packed with vitamins and antioxidants, goat’s milk should be the new kid on your block. I promise you won’t be disappointed. This is the time of year most of our kids are born at Rolling Meadows. It is hectic with 21 girls being bred and roughly delivering 60 kids total. Yes the girls are all spoiled in that they have their own birthing suites complete with a webcam so we can monitor them 24/7. Normally moms do a great job of kidding but we like to be there for any unanticipated complications. We try and post pics or live video just after the kidding! or sometimes during the process. Super creamy milk is the by product of kidding! This milk is what makes our products at Rolling Meadows Goats Milk Skincare. If you would like to come out and see the kids in person. Just give us a call and schedule a time. We are more than happy to share our love of goats.